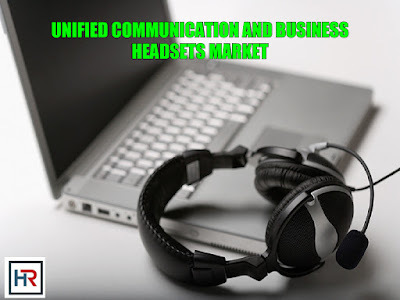 The Global Unified Communication (UC) And Business Headsets Market is anticipated to reach USD 1.46 billion by 2025, according to a new report by Hexa Reports. The adoption of unified communication headsets is on a rise as these headsets offer active noise cancellation feature that reduces external disturbances and improves employee productivity. Increasing competition in the market has is driving the need for multitasking in organizations at various levels. Thus, the market is expected to witness significant growth in wireless headsets that are compatible with laptops, notebooks, PCs, and smartphones. These headsets have been largely used by executives and senior management employees. The wireless segment dominated the market in the year 2016. Increasing adoption of softphones by various call centres is driving the demand for high-quality headsets that enable efficient communication irrespective of the employee or client location, thereby, increasing profits for organizations. The USB-based wired PC headsets are anticipated to witness substantial growth within the office and working-class professionals. The demand for these headsets is expected to be robust in the future. In terms of volume, the wired segment demand was 2,236.1 thousand units in 2016. The demand is further expected to grow due to their low cost availability and quality sound transmission.